Invest 5 Minutes to create an income for years, it's easy! Would You Invest 5 Minutes To Discover A System That Helps You Setup Your Own Niche Income Stream That Generates More Cash Than You Ever Dreamed Possible?" Your Own Niche Income Stream That Generates More Cash Than You Ever Dreamed Possible?" 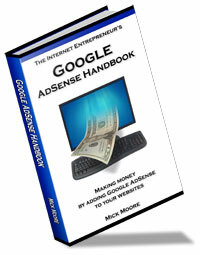 Just follow this simple step-by-step manual each time you are in need of extra money! I've put together a step-by-Step manual to setup your own money pulling sites at a little or no cost. That's right, and without the need to buy highly expensive software tools or other hyped up stuff. You can be making hundreds of dollars by the end of the month if you ACT NOW ! Download your book right away and get started to making REAL money with little or no startup.